Interview with Kelly Edwards – Allons-y Craft! I interviewed tv host and designer Kelly Edwards this week over at Mochatini.org. 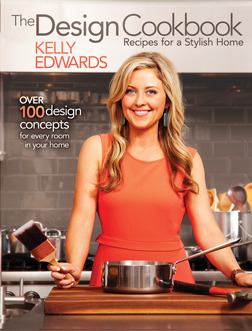 Her new book, Design Cookbook: Recipes for the Stylish Home comes out next month and you can even enter to win it over at Goodreads! Check out the interview and look book, then get on over to your local bookstore! Previous Previous post: Up, up, up(cycle) and Away!